This week I’ll start with the main dishes. 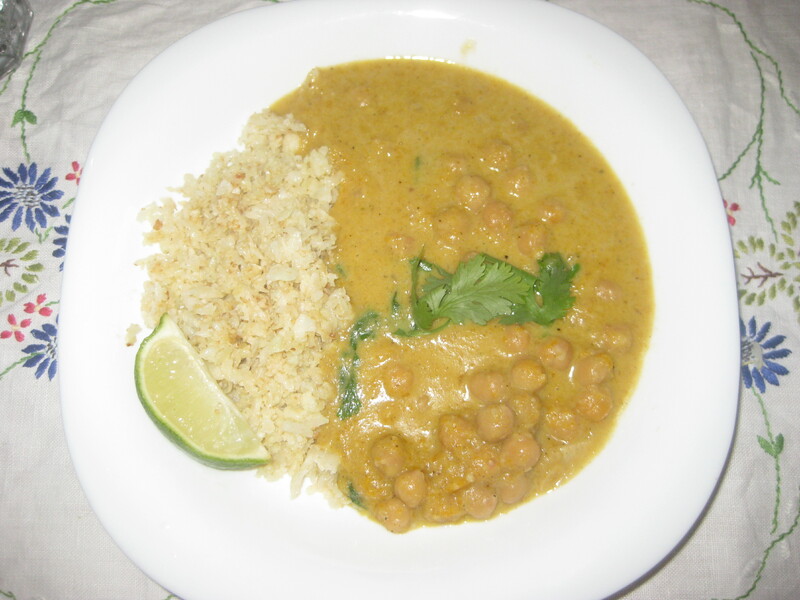 I started out with the relatively simple looking Masala Chickpea Curry. The recipe looked a bit light so I doubled up on a lot of the ingredients. It was a good tasty curry, but it was a bit too sweet. Again, I felt that the maple syrup in the recipe was probably unnecessary with coconut milk already in the dish. 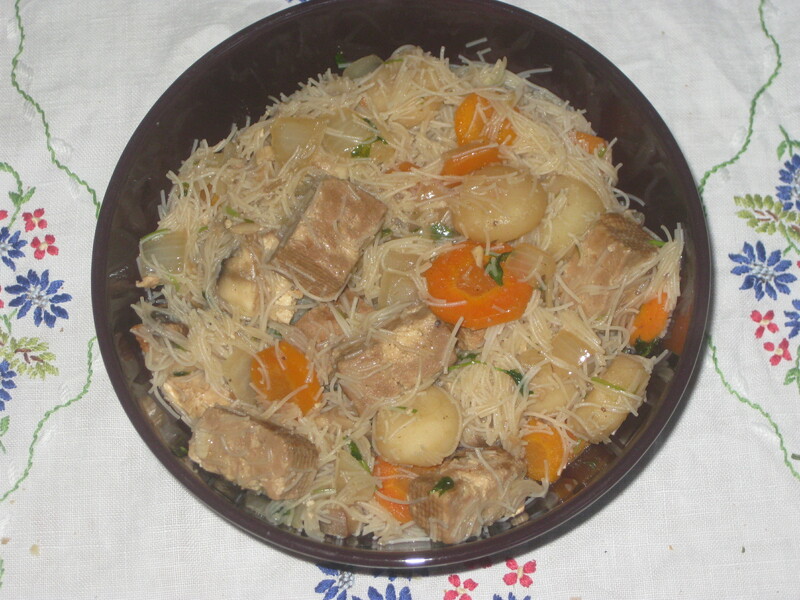 The book calls for the addition of maple syrup to a lot of the savoury dishes. This curry was one of the first things I made and it made me wary of adding maple syrup to other savoury dishes in the book. This recipe was rather bizarrely tagged as “30 minutes or less” even though it calls to simmer the curry for 20 – 30 minutes. I served the curry with Cauliflower Rice. This is a great alternative to regular rice and was really easy to make. I really liked getting some of the slightly bigger chunks of cauliflower that survived the grater. The Super-Thick Three-Bean Chilli had a lot going on. Three types of beans, sweet potatoes, courgettes, sweetcorn and there was supposed to be some carrot but the local supermarket was out of loose carrots and I wasn’t going to buy a 1 kg bag. This made a gigantic pot of chilli with great flavours. It was perhaps a wee bit mild for my liking but just right for Ms HH. I will of course grumble about a chilli recipe not including any fresh chilli but it’s probably a good thing if you want to keep things a bit milder. 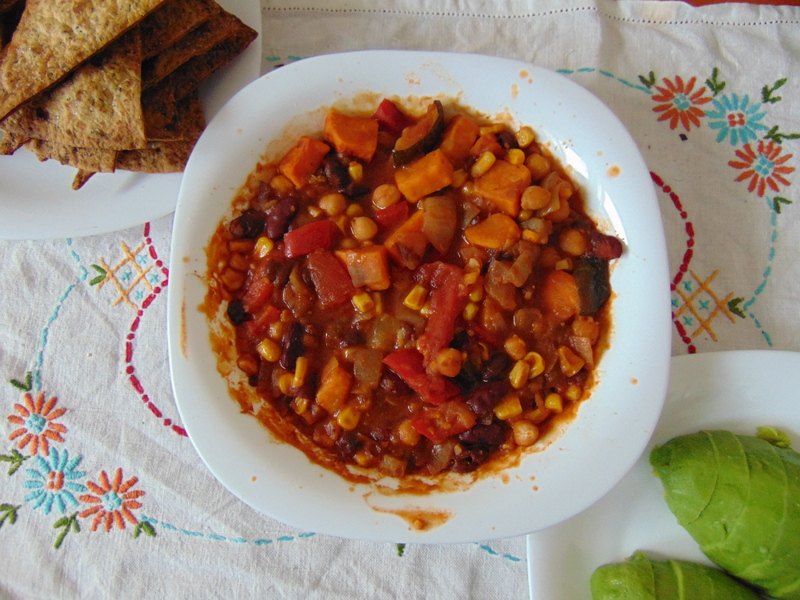 Served with baked tortillas and avocado, this chilli made for good hearty meals. 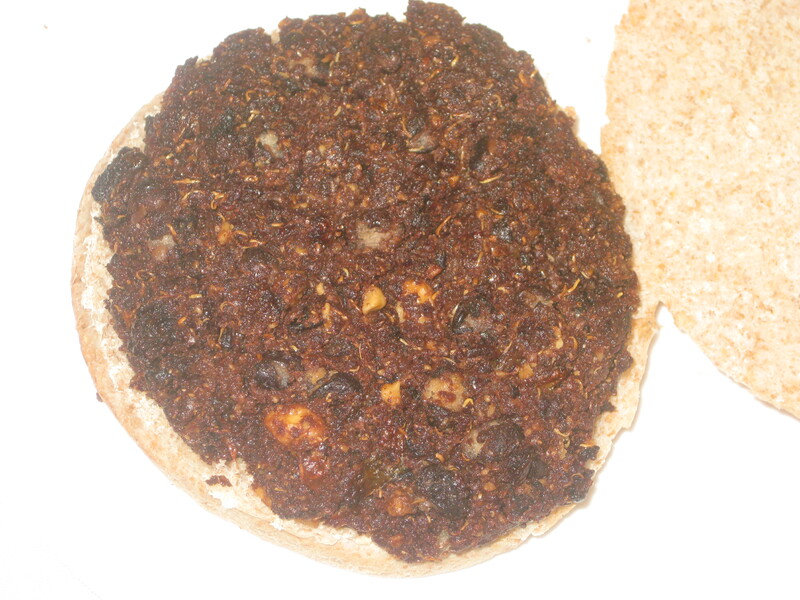 The Hearty Cocoa Black Bean Burgers were the first burgers I have ever made. I remember about 10 years ago I bought a rather exotic ingredient I’d never heard of before: tahini. I was supposed to use it to make some bean burgers, but the jar remained unopened and the burgers never materialised. 10 years down the line, I know what tahini is now and I actually had a crack at making burgers. These were delicious! I decided against adding any maple syrup to this recipe and was slightly worried when I tasted the mix and it was quite bitter. 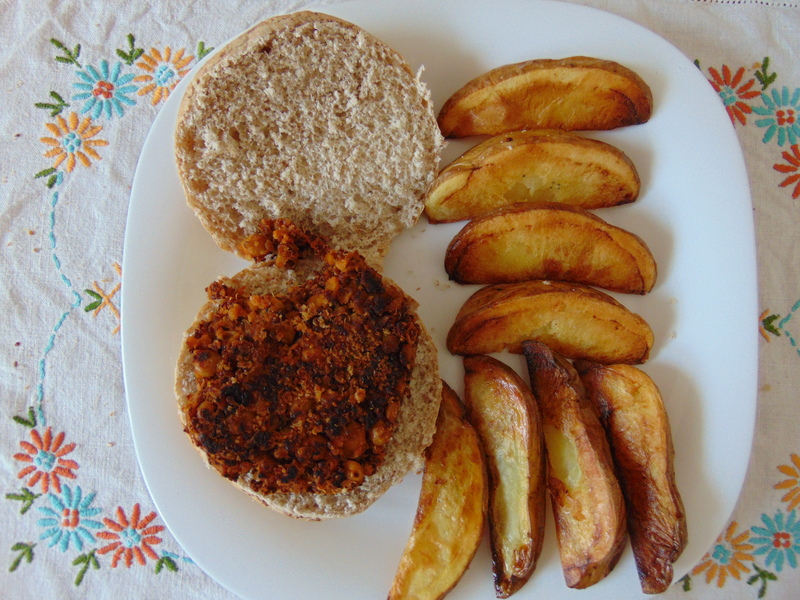 After baking them I didn’t notice the bitter taste and instead enjoyed a great nutty flavour from the walnuts and the combination of quinoa and black beans made for a hearty burger. They didn’t hold together as well as I would have liked, maybe I needed to bake them longer or try and make my patty more compact. The minimalist gimmick irks me again here, the recipe is tagged as “30 minutes or less” but one of the ingredients is cooked quinoa and the time to cook the quinoa is not included in the overall cooking time. What irritated me even more was that there’s no guide to how much raw quinoa I need to get the desired mass of cooked quinoa. Having to use other resources to complete the recipe seems to defy the point of having a cookbook. I made the Easy Vegan BBQ Sauce to go with the burgers, I didn’t have the heart to go looking for organic naturally sweetened ketchup so just used the reduced sugar Heinz that was in the cupboard. The sauce was fine but it just tasted like a flavoured ketchup rather than BBQ sauce. There was a recipe for a Thai Peanut Burger that had caught my eye but then I also saw a recipe for Thai Quinoa Meatballs. They both looked quite similar and I went for the meatballs. These were fantastic! 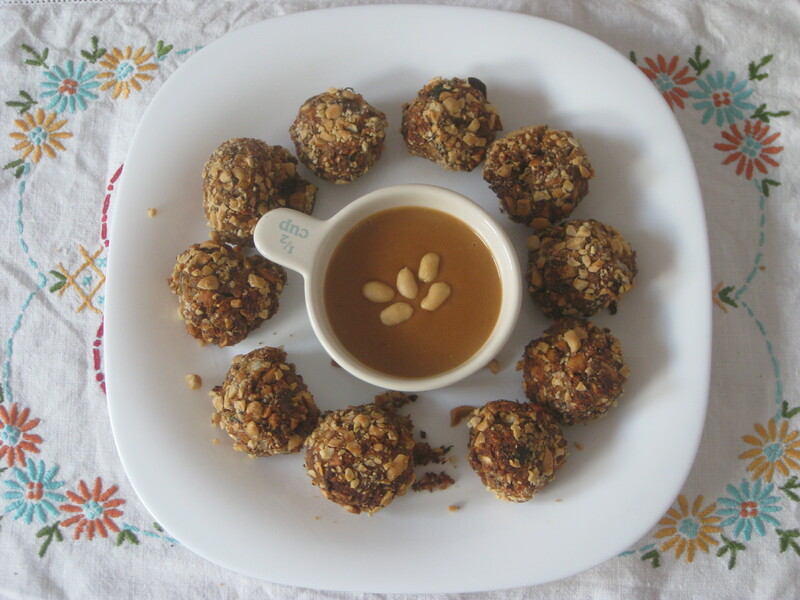 Little balls of savoury, crunchy, nutty goodness with a good kick of soy. I just served them with the suggested peanut sauce and it was more of the same flavours, I felt like a different sauce would probably have been better. Sticking with the Thai theme, next up are the Thai Baked Sweet Potatoes. Sweet potatoes have been a little tricky to get a hold of in Prague. Marks and Spencer has been the only place with a regular supply so imagine my joy when I stumbled into our local supermarket and found sweet potatoes. Not just any old sweet potatoes, but sweet potatoes the size of a small moon! This from a supermarket that is usually chock full of all the veg you don’t want with most of it looking past its best. 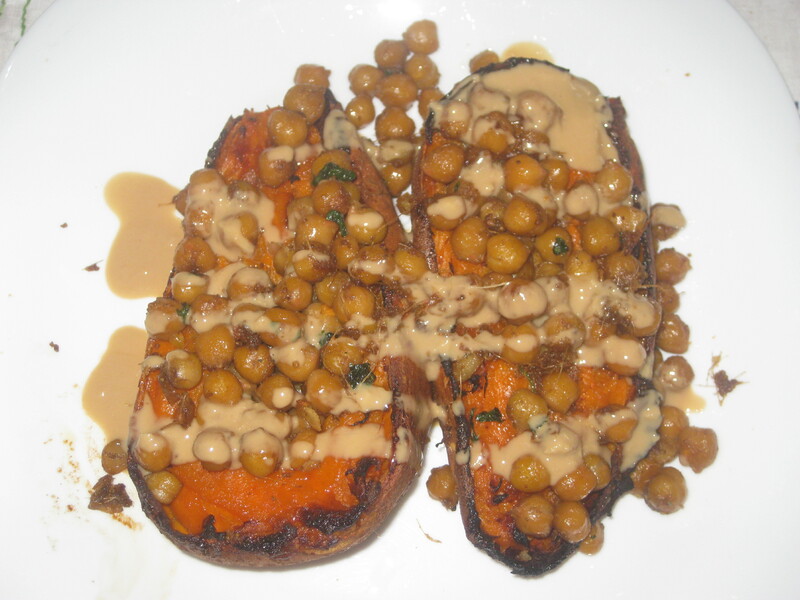 The fried chickpeas had some good flavours in them, but the whole dish was lifted by the zingy ginger tahini sauce. It was bursting with great flavour from the soy, lime and of course ginger. It all tasted very exotic even though it looked a bit beige. The Spicy Tofu Vegetable Stir-Fry was cooked with a bit of a delay. I hadn’t quite read the recipe through, so failed to notice that the tofu needed to be marinated for at least 2 hours, whoops. 2 days of marinating later and it was all worth the wait. The tofu was delicious but due to my chronic lack of patience I didn’t fry it enough, so it wasn’t as crispy as I would have liked. The tofu marinade also served as the sauce for the stir-fry and it made for a good dish where the tofu was definitely the highlight. 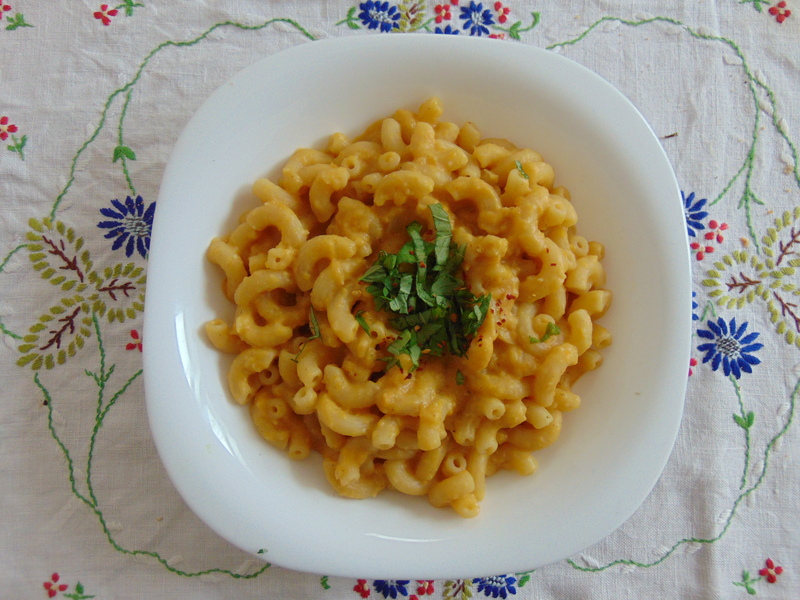 I was interested to see how the Butternut Squash Garlic Mac ’n’ Cheese would work out. I’d not seen this idea of using squash as the main element of a creamy sauce. I dived into the recipe in typical Dr HH fashion and was happily blending everything up but it was all too thick. A closer look at the recipe and I saw that it called for 280g of squash, I had just thrown in all of the squash and when I looked at the sticker it estimated the mass as around 700g. At this point, I went and did what I do best, freewheeled! I threw in various amounts of extra milk, nooch, salt and pepper until I thought I’d put together something that resembled a sauce and tasted kind of cheesy. It was a roaring success! The dish was creamy, hearty and full of flavour. An excellent bowl of comfort food. 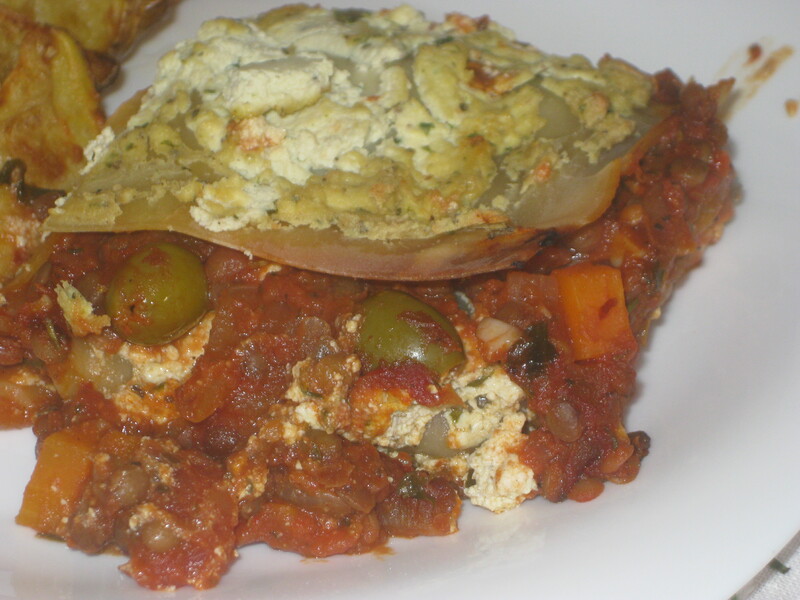 The last dish from the mains section is the Classic Vegan Lasagne. I do enjoy making a lasagne, despite the fact that it takes forever and generates lots of mess. There’s something incredibly satisfying about turning out a tray full of delicious layered pasta goodness. The recipe was pretty easy to follow and it made a good hearty and tasty lasagne, I used the Tomato + Lentil Ragu for the saucy element. This is another recipe that I feels suffers from the minimalist gimmick. The suggested recipe for this to just use tomato sauce, that way it can fit into “10 ingredients or less”. There’s also a suggestion to use the aforementioned ragu but without the lentils. I like a good hearty lasagne with big vegetable chunks so I find the idea of removing the hearty filling from the sauce utterly baffling. We’ve arrived at the final section of the book that I used: desserts! I do believe that it has been mentioned in the past that I’m not much of a dessert maker – baking isn’t really something I’ve ever really tried my hand at. For this book I was willing to fish out some packets of flour and baking trays and get my hands dirty. 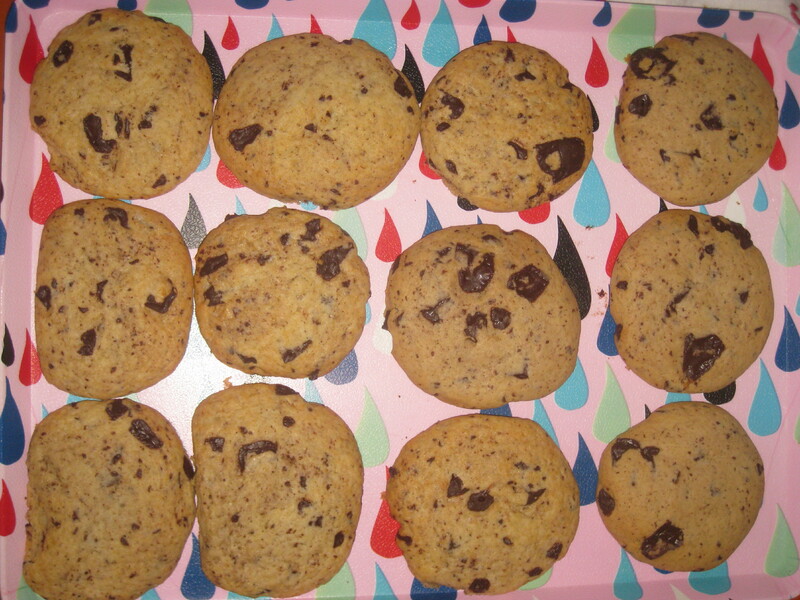 First up are the 1-Bowl Jumbo Chocolate Chip Cookies, which actually required the use of two bowls. There is a disclaimer about this in the book but I wasn’t impressed by the title. On the plus side I was more impressed with the outcome of my first ever batch of cookies. They were nice and crispy at the edges and soft in the middle with plenty of chocolate chunks in there. I did make a slight error and use dark chocolate that had some lactose in it which meant that this batch of cookies was just for me. I made a second batch with vegan-friendly chocolate and I can happily confirm that they too were delicious. They were quite different though. They came out a bit softer and cakier, perhaps it was because I didn’t bake them for as long as the previous batch. On both occasions I forgot to add a sprinkling of salt on top of the cookies, so I guess I’ll just have to make another batch one day. Sticking with the cookie theme, next up are the Chocolate-Dunked Peanut Butter Cookies. I will start with a gripe. This is listed as a one bowl recipe but for it to be a one bowl recipe you need to clean your bowl half way through once you’re done with the cookie dough and then melt your chocolate in it. That to me is still a two bowl recipe. These cookies were easy to make and quite similar to the previous cookies. These would probably work excellently with chocolate chips in them rather than the dipping. 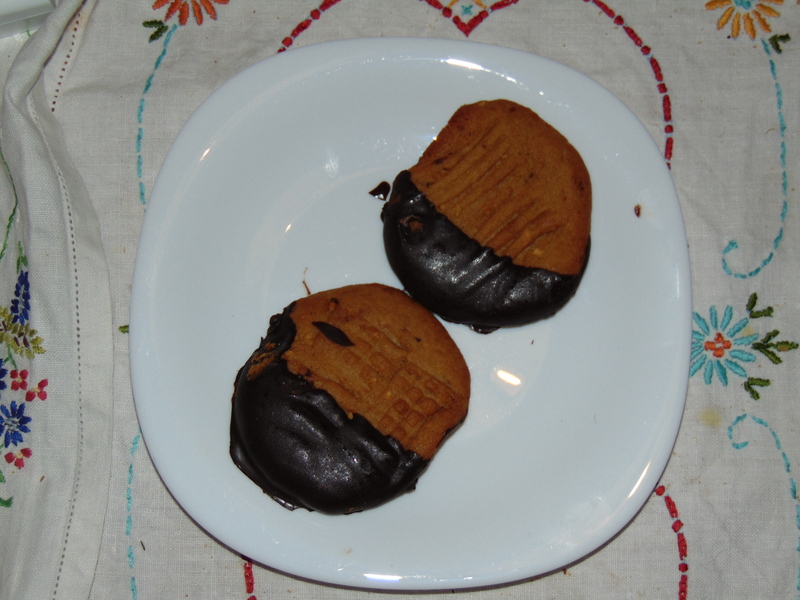 The cookies were excellent, not quite as sweet as the previous ones probably due to some saltiness from the peanut butter. I was a bit concerned after dipping them and not being able to get them off the parchment paper so I popped them in the freezer and they came away fine after that. 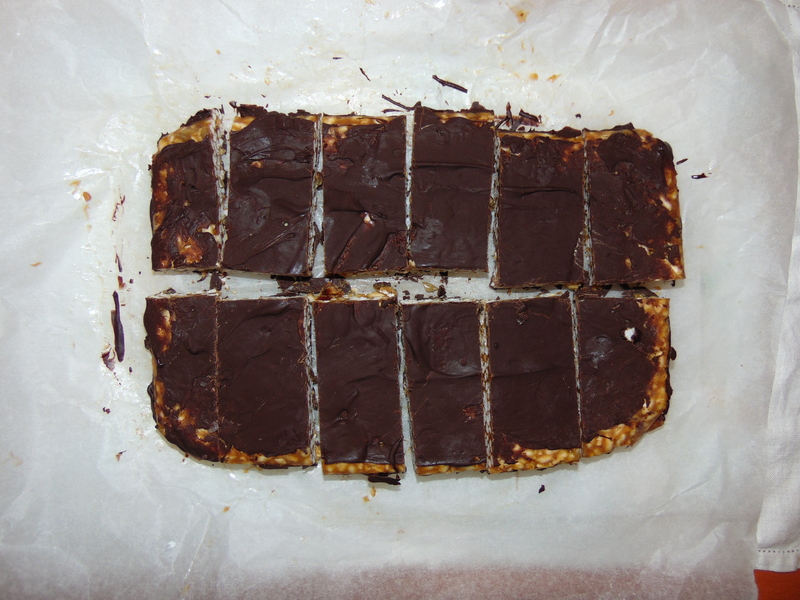 The Peanut Butter Cup Puffed Rice Bars was another of the recipes I had eyed up early on. The recipe calls for you to try and mash chopped dates with a fork into a mix of melted peanut butter and maple syrup. Do you know what you get when you try to mash chopped dates with a fork into a mix of melted peanut butter and maple syrup? You get a mix of melted peanut butter and maple syrup with chunks of dates in there. I quickly abandoned that idea and took a hand blender to it and this resulted in a glorious thick, sticky, sweet, peanutty, datey caramel. I almost wanted to stop and just eat it from the bowl. I settled for just licking the blender clean at the end (don’t worry I kept my tongue away from the blades!). The bars were great, but I would prefer them with something a bit crunchier in there to provide some bite. Maybe some more sunflower seeds or some crushed peanuts. That is the end of my August cooking odyssey. I enjoyed being able to spend some time in the kitchen this month and really enjoyed using the cookbook. The recipes were pretty easy to follow and packed with flavour. In every recipe there were regular prompts to season the food and often guidance was provided as to what effect adding the spices would have on the overall flavour of the dish. I felt that was much better than the often used “season to taste”. My main problem with the book is the minimalist gimmick. There are recipes where corners are cut or which just include lies. Too many recipes claim a prep time of mere minutes when you’re actually faced with chopping a mountain of vegetables. I have heard that is a problem that often comes up in 30 minute cookbooks. These are ultimately minor grievances and I recommend this book to anybody, as long as you’re prepared to use a few more bowls and spend a bit more time on your cooking. 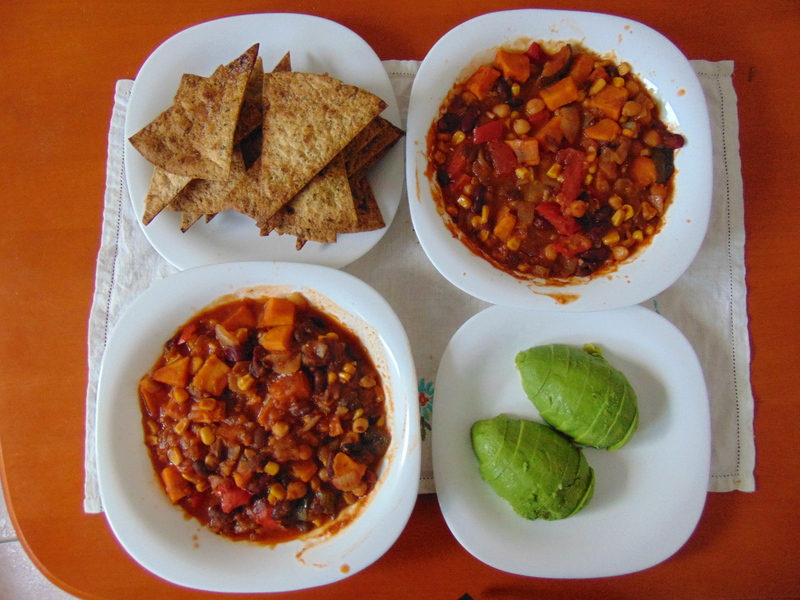 This entry was posted in Cookbooks and tagged Minimalist Baker, vegan, vegan cookbook. Bookmark the permalink. Yes, we would still recommend it anyway, as long as you have more realistic expectations of timings and the amount of washing up it will involve! I’ve been looking forward to this part two! It all looks very tasty and I’m quite intrigued by the cocoa in the burgers! I haven’t quite got my husband on board with chocolate in savoury food yet but I’m doing my best. I noticed you said about the mac and cheese using 280g squash – are the recipes in metric measurements? I tend to have an awful track record with cups (not sure I ever learnt to use them properly) and if it does have weighted measurements that’s a huge bonus to me! It had both cups and grams for measurements, so you’re in luck! And the burgers didn’t really taste of cocoa, so they might be a good starting point for your husband. I always put a spoonful of cocoa powder in chilli too. 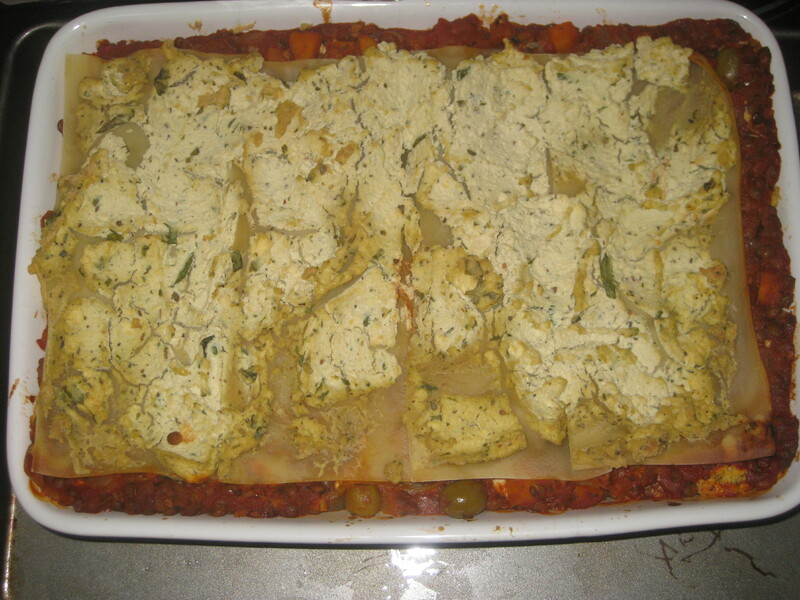 This happens a lot with the Vegan Casserole’s cookbook. I think because of it I’ve just gotten into the habit of making double brown rice every time I make it, and measure as I go. If I don’t use it up in time, I freeze them in cup sized portions. I never thought about freezing rice! Nice idea. XD I feel the same way but it is considered a faux-pas to use fresh peppers in chili recipes in the USA. I get it- it’s all about consistency. There was a “food challenge” show were a famous chef would try and make a better dish from another chef that was well known for a specialty. One was for chili and he thought he could out do the chili chef by using all fresh peppers, and it didn’t work out because the fresh peppers just weren’t spicy. The recipes look pretty good and I am not surprised with your review. I like the minimalist baker website but some recipes fall flat and I can’t help but feel it is because they don’t test the recipe enough or because they are trying to make it too easy sort of deal. Those rice crispy bars look amazing though. 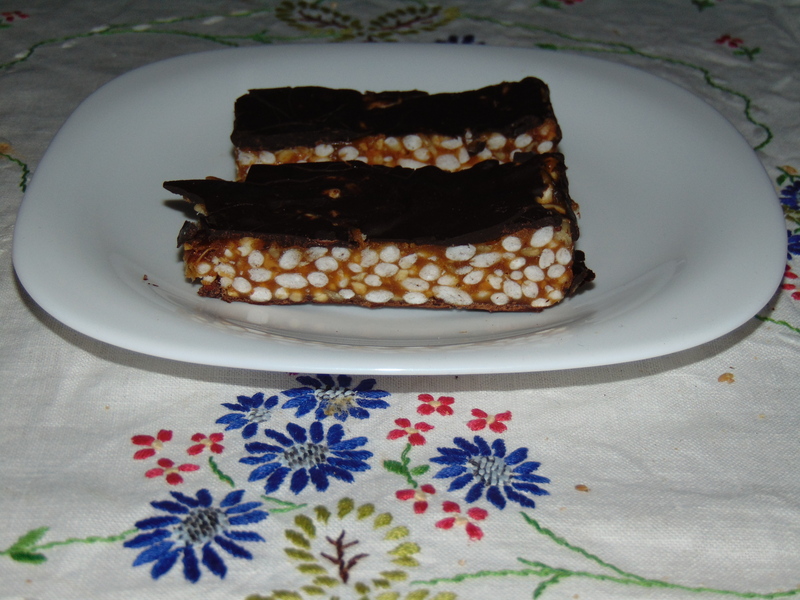 The rice crispy bars were exceptional! I want to use the caramel in a millionaire’s shortbread recipe. Interesting to know about the stance on chillies. I wish I had access to non-fiery chillies! I’m with you on the ketchup thing. I hate tomato ketchup anyway, so just adding some spice to it is a definite no from me.